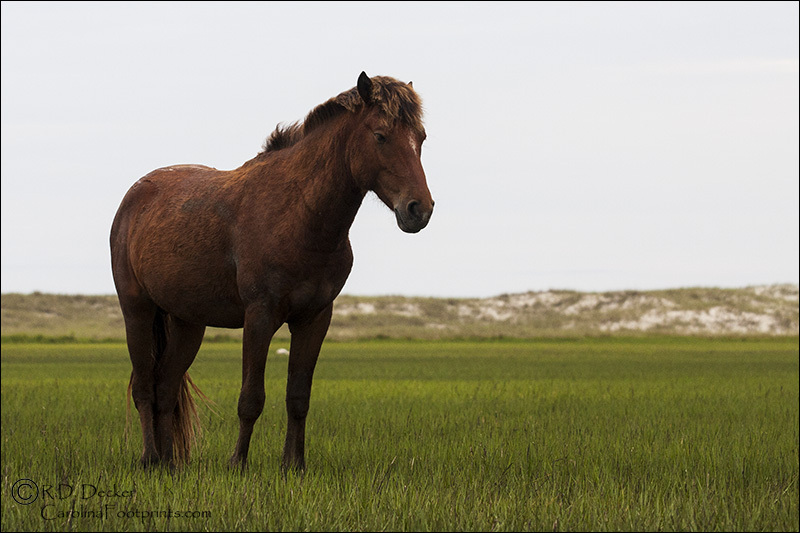 Merlin is a two-year old stallion living in the Rachel Carson Estuarine Reserve. Is maturing into a fine looking young man. So much so I thought he deserved a featured posting. 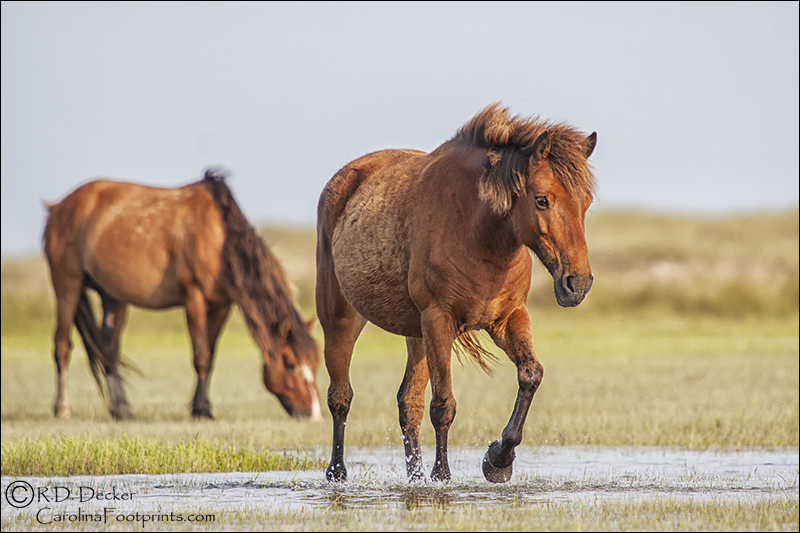 Depending on the season, time of day, weather conditions and tide there are a lot of different locations where you can find the wild horses both on Shackleford Banks and within the Rachel Carson Estuarine Reserve. 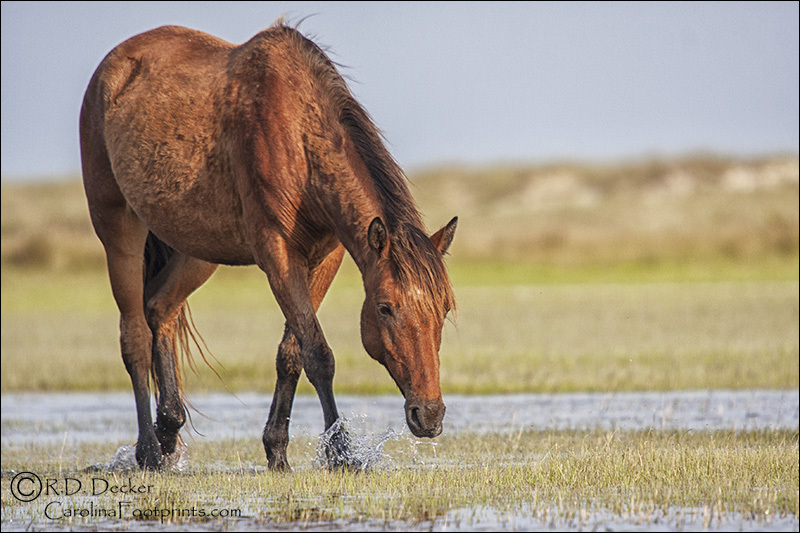 But without a doubt the tidal flats is probably my favorite location for photographing wild horses. 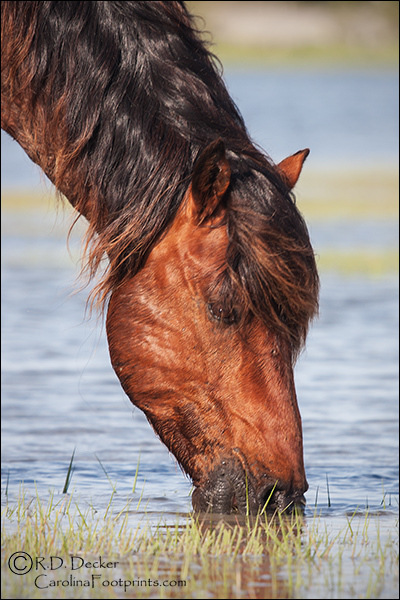 I can find splashing water, reflections, wispy grasses with the appearance of wide open spaces in the background. 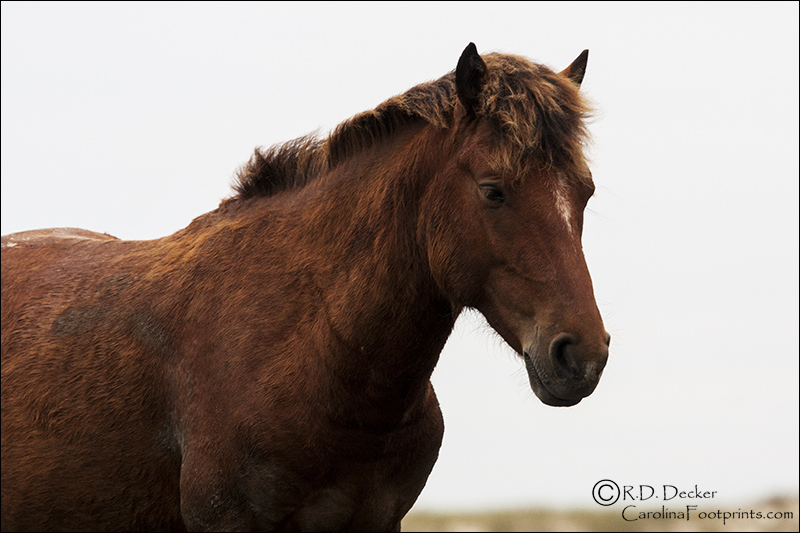 Here are a few images from a recent visit with the horses. 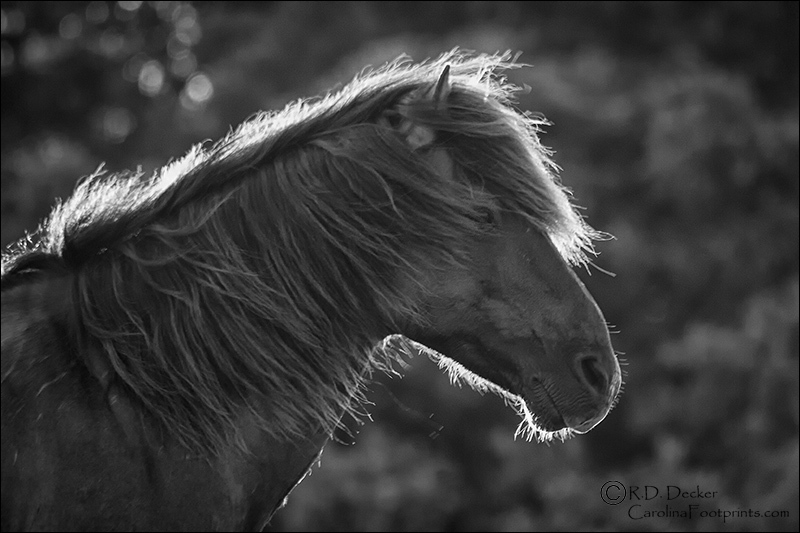 As I often do when I have some time I spent yesterday evening with the local wild horses. 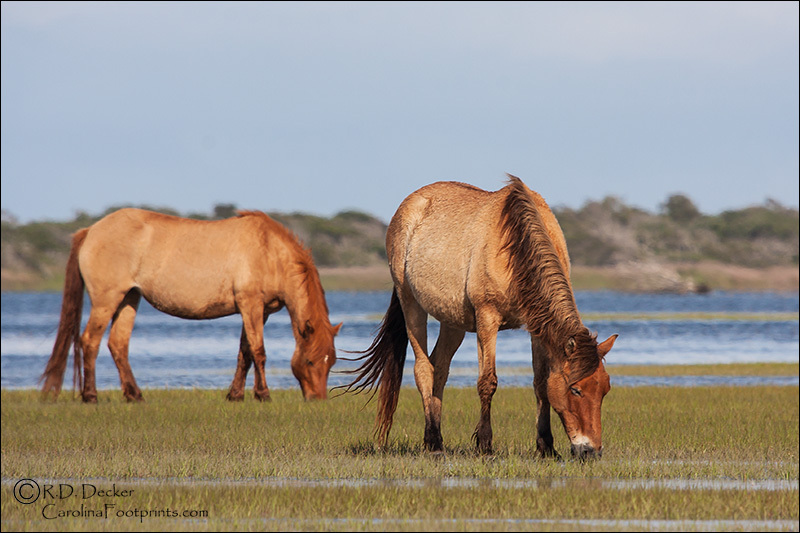 The high tide had most of the herd fairly compacted into the same area. 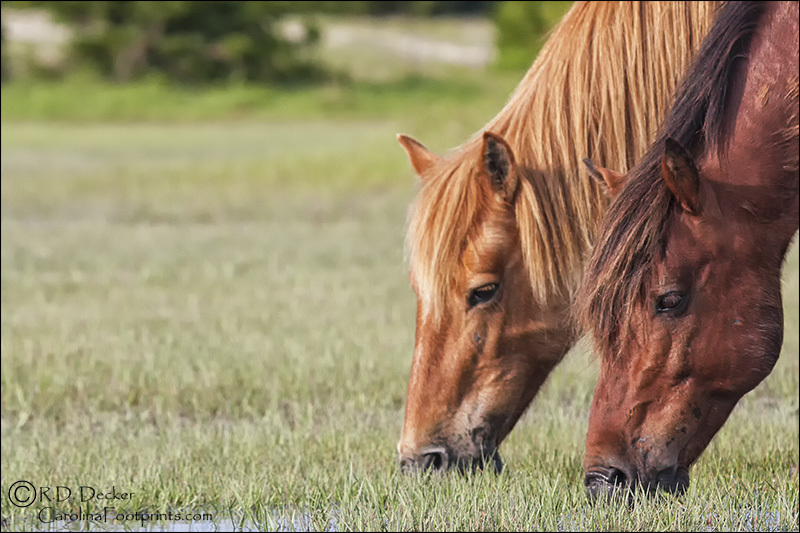 Here are a few close crops of the horses. I’ll post some looser compositions later. 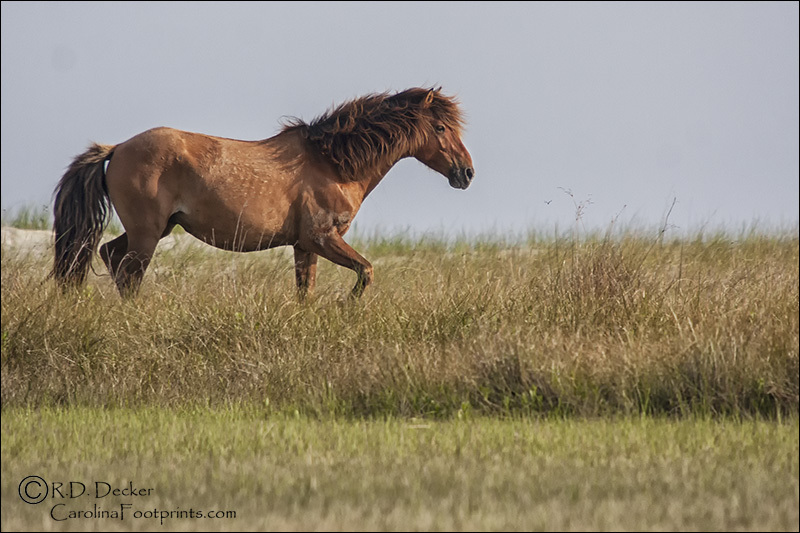 I paid a visit to the wild horses Sunday evening. 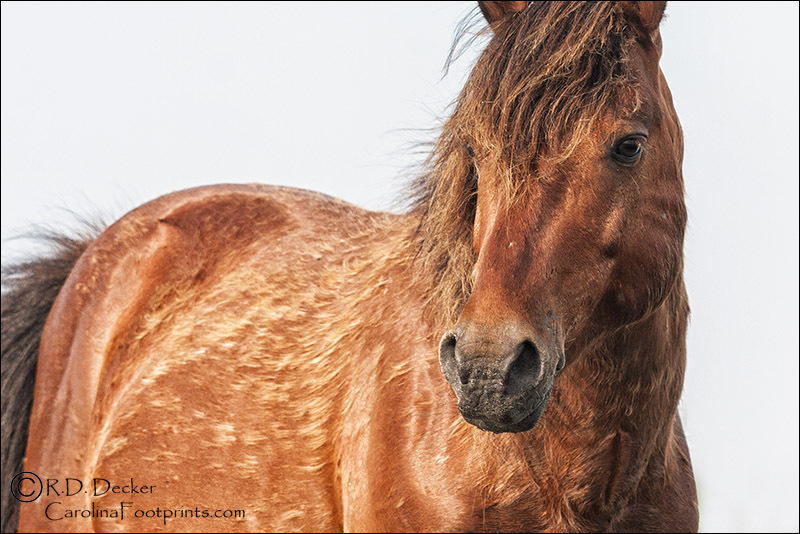 At one point I turned around and noticed some really lovely, intense golden light on the horses as the sun was setting. 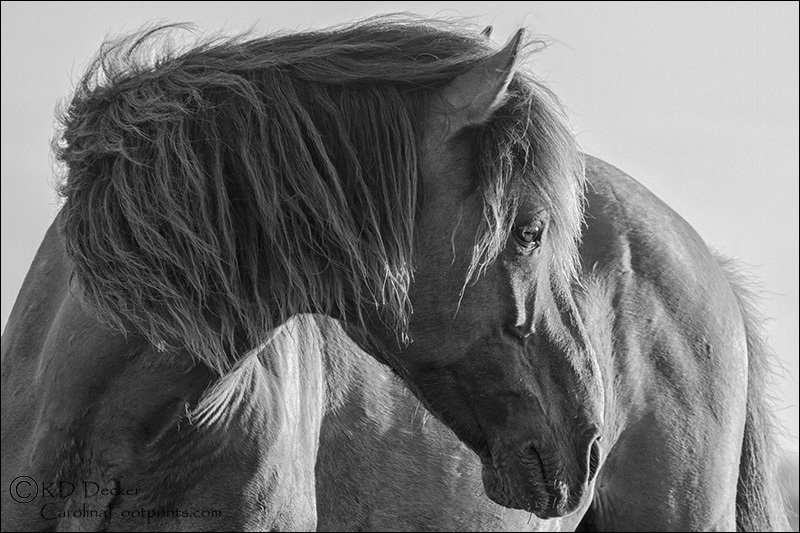 While I shot these images with color in mind I really, really, really like them as black & white photos. 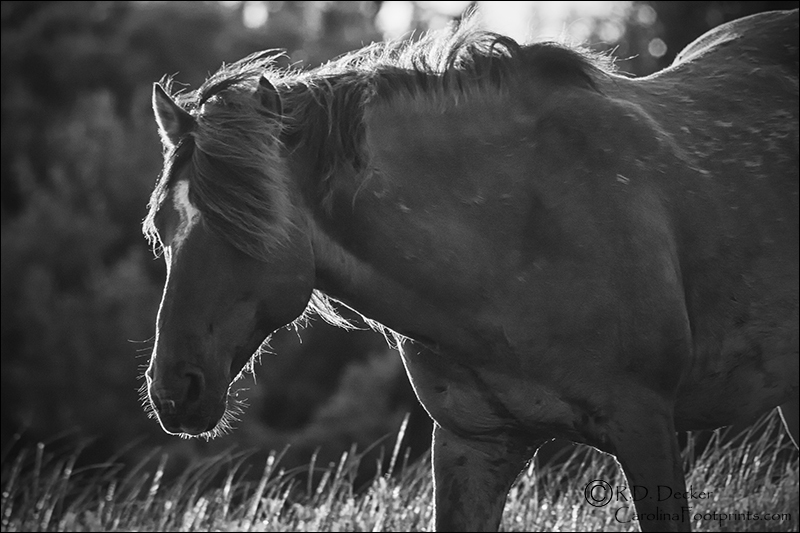 Here are my four favorite black & white images from the session. 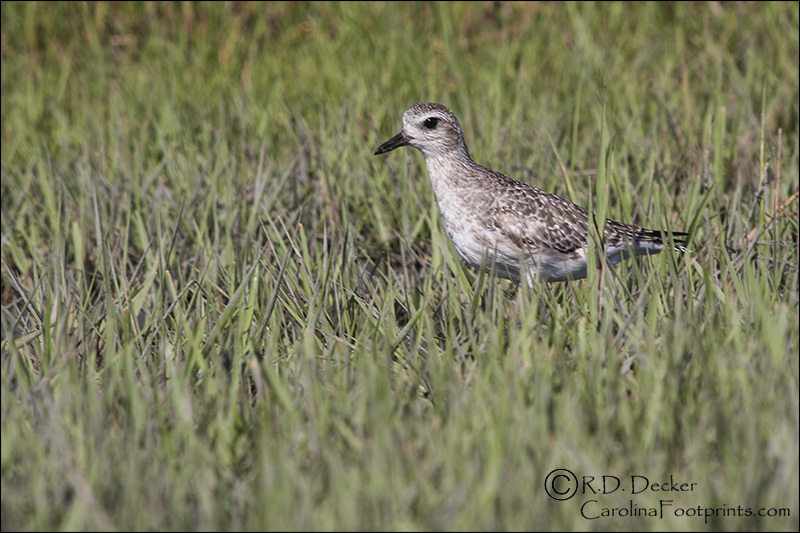 While on my paddle the other morning I spied a plover searching the mouth of Deep Creek for a morning snack. I made a slow, drifting approach to see if I could get a few photos. 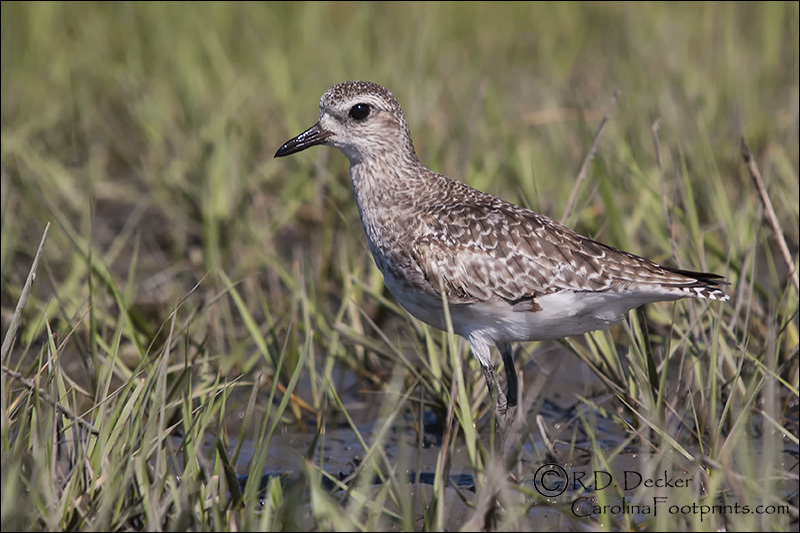 As I got nearer I could see that it was a Black Bellied Plover, still in its winter plumage. 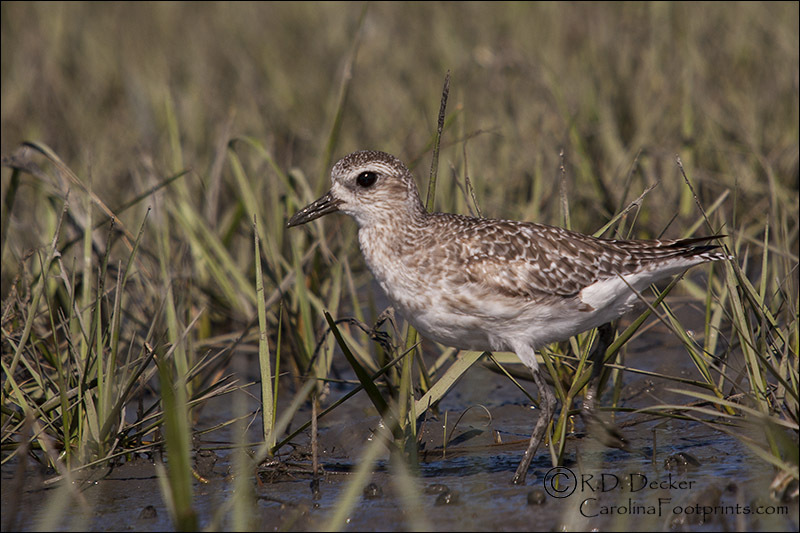 It didn’t seem to mind my presence and I was able to get a few photos of this little bird as it worked the shoreline hunting for a few tasty morsels. Okay. 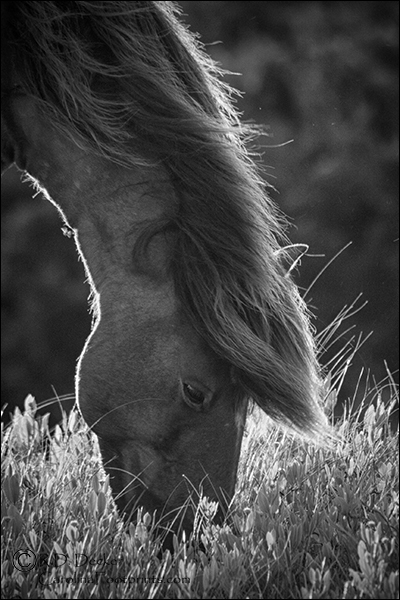 A break from the black & white horse photos. 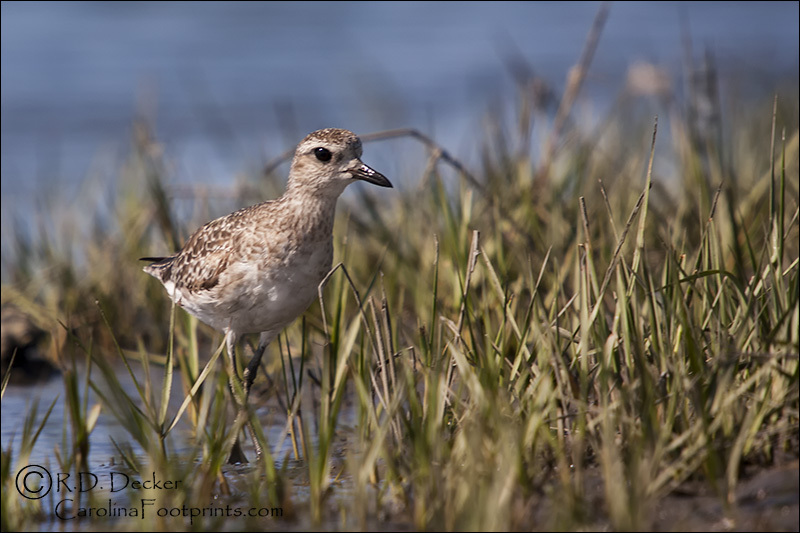 Here are a few color shots from last week. 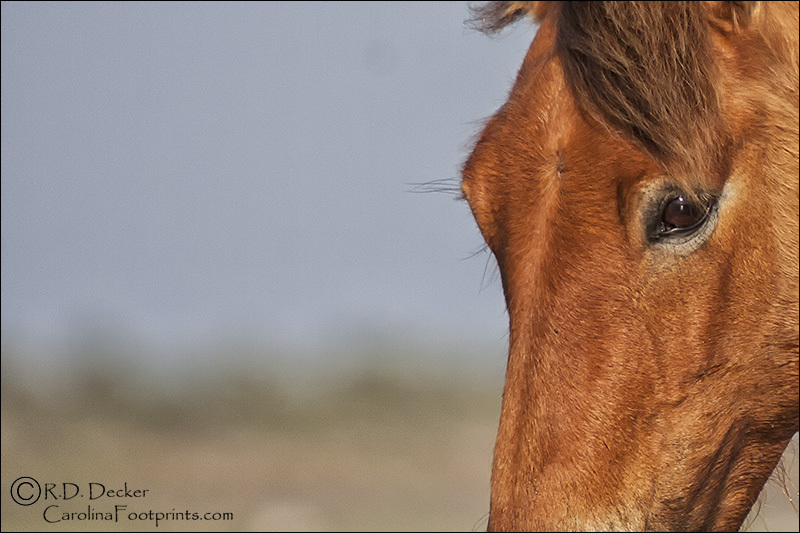 These were all shot using a 500mm lens, as were the previous sets from last week. I hope you enjoy them. 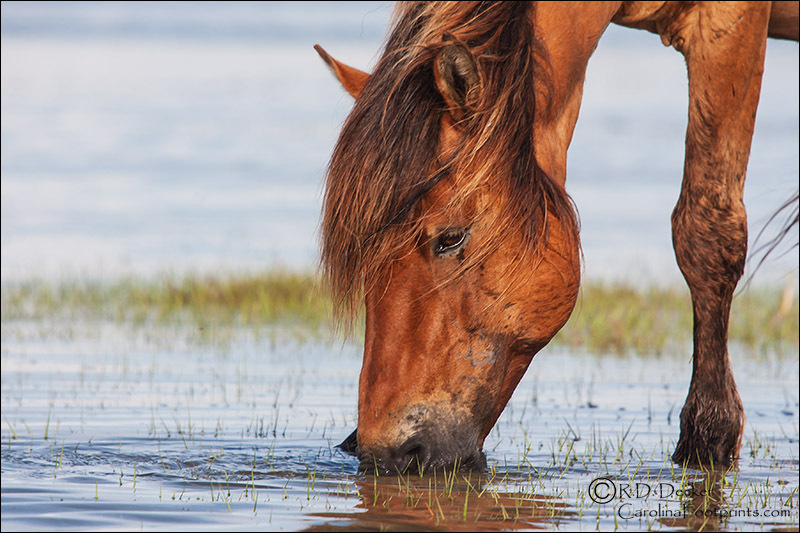 As a general rule I like to incorporate some environmental elements in my images of the wild horses. 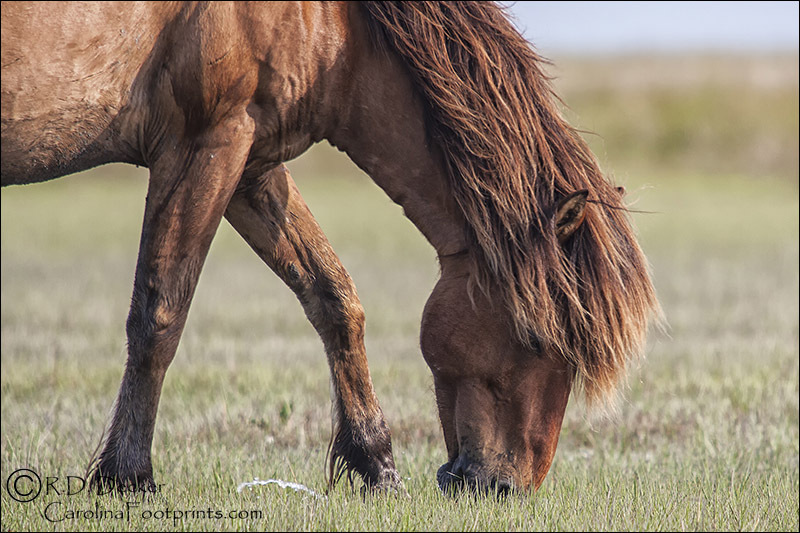 My thinking has always been that if I shoot too tight on these animals it’s hard for a viewer to tell a wild horse from a domestic one. 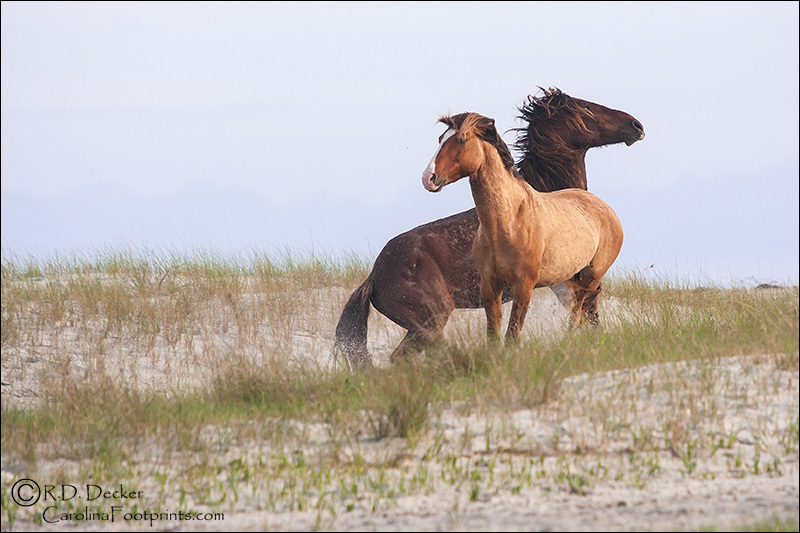 I’m also a strong believer in the idea that images that include a sense of where the animals live tell more of a story. However sometimes it’s fun to do something a bit different. 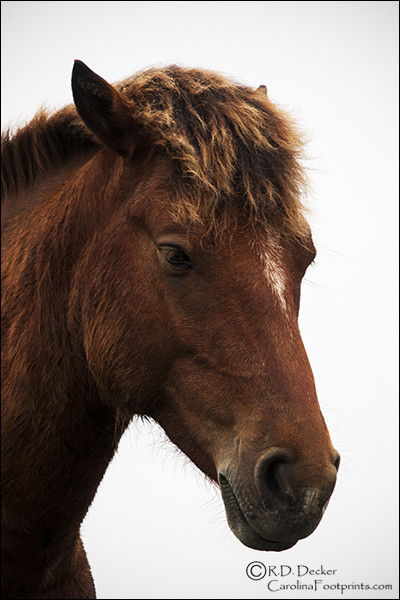 Here’s a really tight crop on a wild horses living in the Rachel Carson reserve.